 TLS, a reactive team at your disposal, which advises and assists you in organizing your transport. We offer skills at the international level in order to facilitate your transport and logistics operations. We bring you reliable and flexible solutions. We guarantee regular rotations by a transport schedule and a transit time under control until unloading in bonded warehouses. Our mission: the management and coordination of your containers transport to and from ports all over the world. Choose TLS for your air cargo transport, you will be assured your goods are secure and delivered on time. Stay connected to the 5 continents! An alternate option to containers, perfectly conceived and operated by TLS, in order to optimize shipping and avoid port congestion. The transport and storage of light or industrial vehicles. We provide secure FOB and traceability. Your interests are well preserved! Our strategic partners, and proven experience in the field of chartering, remain at our disposal for any ship chartering requests. Each project is unique and calls for perfect organization and execution! For your complex shipments that require shipping exceptionally heavy and bulky loads, TLS plans and rolls out a set of high precision solutions. Solutions to meet your requirements! We own and operate our dedicated equipment which is perfectly adapted to handle your shipments. Product labeling, repackaging, order picking, specific docking … we answer all your requirements ! Storage in free and bonded zones in France and abroad, in secure warehouses near the ports. Your goods are secured ! We keep you regularly informed, and we guarantee visibility and transparency.